Release Date: Originally released October 2010. 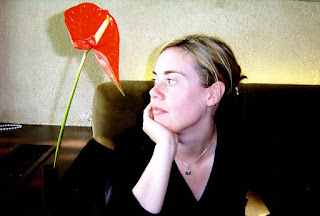 For Anne Hamilton, a three month winter programme of travel and ‘cultural exchange’ in a country where the English language, fair hair and a rice allergy are all rare in the extreme was always going to be interesting, challenging and frustrating. What they didn’t tell Anne was that it would also be sunny, funny and the start of a love affair with this unexplored area of Southeast Asia. A Blonde Bengali Wife shows the lives beyond the poverty, monsoons and diarrhoea of Bangladesh and charts a vibrant and fascinating place where one minute Anne is levelling a school playing field ‘fit for the national cricket team,’ cobbling together a sparkly outfit for a formal wedding the next. During her adventures zipping among the dusty clamour of the capital Dhaka, the longest sea beach in the world at Cox’s Bazaar, verdant Sylhet tea gardens, and the voluntary health projects of distant villages, Anne amasses a lot of friends, stories...and even a husband? 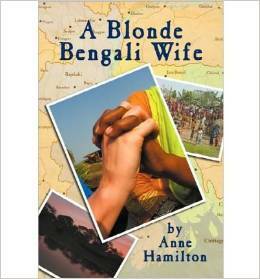 Anne Hamilton wrote A Blonde Bengali Wife after she fell in love with Bangladesh on her first (of many) visits there. The travelogue inspired the charity, Bhola’s Children, and continues to support it. Before she became a full time writer, editor and tutor, Anne’s career was in social work and community health – which led to many of her earlier international travels. Anne can never quite decide if she comes from the East of England or the West of Ireland, so she compromises by living in Scotland, with her small son; they still travel when they can. 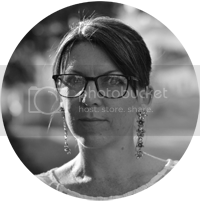 Anne has a PhD in Creative writing from the University of Glasgow, and is the editor of local online magazine, Lothian Life. She is currently revising and seeking representation for her first novel, Chasing Elena, and working on her second.